More than likely, we’ve all had a scare once or twice involving poison ivy. If you are an outdoor enthusiast, being educated about poison ivy and how to deal with its effects is important. Learn how to get rid of poison ivy plants from around your house, so you can enjoy spending time outdoors. There are certain identifiers to be aware of to help you steer clear of coming in contact with poison ivy when out and about in the woods. If you do happen to brush up against it or find yourself in a patch of poison ivy, it’s important to take the proper steps immediately to help you get rid of it. See below how to take care of yourself once you got poison ivy. Poison ivy can be found in every state located throughout the US, in all varying types of climates. The plant is identifiable as having three leaves, and the “poison” of the plant actually comes from an oil called urushiol that is excreted throughout the stems, roots, and leaves of the plant. Poison ivy oil can spread quickly and easily (just like poison oak does). It can spread from clothes, skin contact or any other item that it came in contact with. If you see poison ivy in your backyard, don’t wait: spring into action immediately, or it will spread really fast. Here are just a few ways to remove poison ivy from your property. 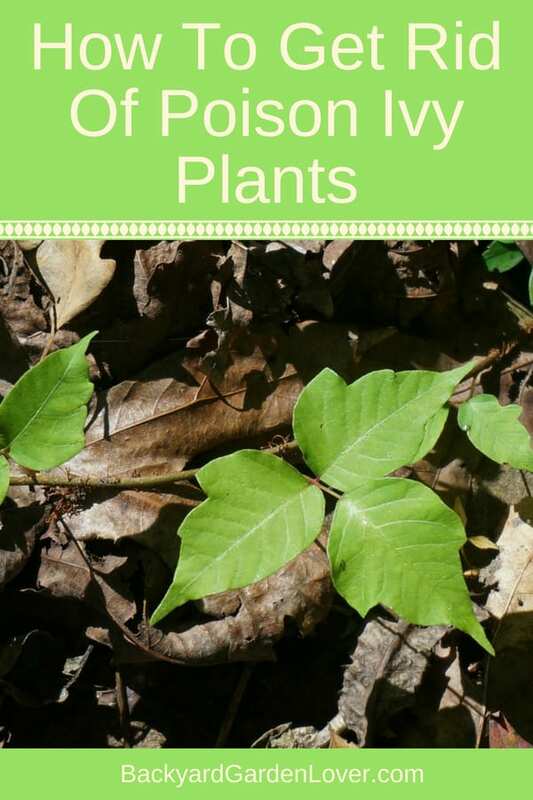 Pulling poison ivy plants will help get rid of it. Make sure you are dressed properly to protect yourself. Wear long pants and long sleeves, and throw them straight into the wash when you’re done. Cover your hands well too. Wear some plastic or nitrile gloves, and a pair of cheap gardening gloves you can throw away when you’re done. The smoke from burning poison ivy will get into your lungs and will do to your insides what it does to your skin. Burning poison ivy is a very bad idea. Goats LOVE to eat poison ivy, and will decimate in no time. If getting your own goat is not an option, borrow one. We have friends that raise goats and did this in the beginning when the poison ivy was overtaking out entire backyard. You might need to follow up with some other method if you borrow the goats, but it’s a good way to get rid of huge poison ivy vines. Not everyone is allergic to poison ivy. And if you are, it’s worth paying someone else to pull it out of your yard. My daughter got it and struggled with it for months. It would disappear in all but one place, and then she’d scratch and spread it all over again. This might take a bit longer, but spray it with concentrated industrial vinegar. It will also kill anything else that’s nearby and touched bu your spray. So this method only works if you don’t have poison ivy between your pretty flowers or in your veggie patch. But if it’s hanging on your fence, or by a tree, this can work. Hot water will kill it, but, of course, it will kill anything else in its vicinity. Nonetheless, it’s an option in certain cases. Mowing poison ivy is one of the easiest methods to remove it. But to be successful, you’ll need to mow it often: as soon as you see it start to grow, mow again and again and again. What If You Touched Poison Ivy? scrub your skin with a washcloth and tecnu soap. It’s a good idea to have some in your house, especially if you have kids. If you don’t have the tecnu soap, use Dawn liquid dish-washing soap. Just make sure you scrub well. Here’s a video that will show you how to clean your self properly after touching poison ivy. Once you start to show signs of poison ivy, it is imperative to take action so it won’t continue to spread. There are several ways that you can help rid it before it starts to ooze and blister. Finding a good steroid cream and applying it to the poison ivy rash can be a good way to help clear it up quickly. Talk to your local pharmacist and see what the best option would be for you or your child to ensure the quickest and safest options. You can make a concentrated jewelweed tea and add it to your bath water to calm your poison ivy rash. Some people make jewelweed tea ice cubes to soothe the itch and pain of the rash. Or you can buy a salve made with jewelweed and have it ready in your medicine cabinet. Leave it be and don’t scratch it! Easier said than done, right? In order for the poison ivy to not spread, it needs to be left alone! The more you scratch, the more you’ll want to keep doing it. If the itching is driving you insane, you can try a couple options to help. Create an oatmeal bath to help the itching, or even one with Epson salt to try to dry it out. We also tried a vinegar spray with a few drops of peppermint and tea tree oils. It stung like crazy, but it dried it up and helped a lot! If you can’t stop yourself from itching no matter what, put gloves or socks on your hands so that you won’t be digging into your skin! Before heading out to explore nature, educate yourself and your family members on how to identify a poison ivy plant. 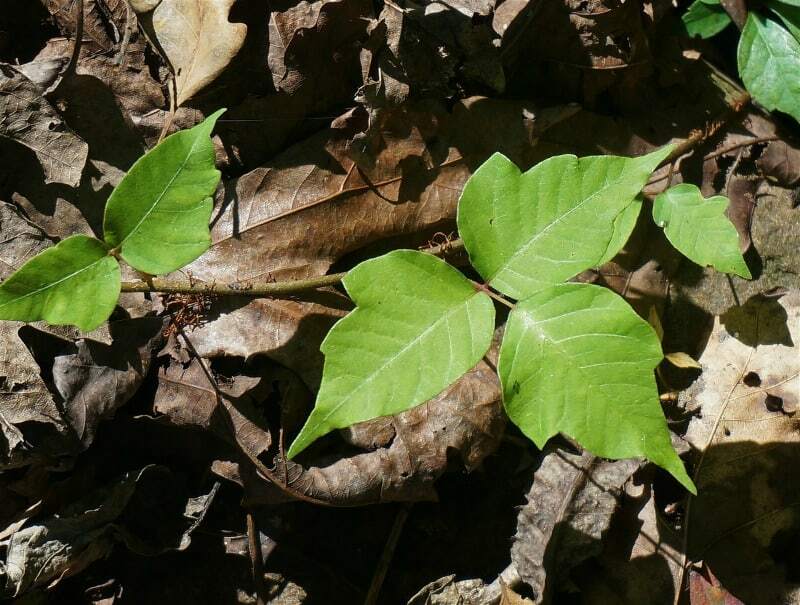 The safest and quickest way to not get poison ivy is to know what you are looking for! Pull up videos or pictures online to show your family so they are aware of what to avoid. Above all, if you do feel as though you’ve come in contact with poison ivy, wash that area with soap and water as soon as possible! That’s a great idea…kind of like having a stylized luminol-spray for ivy! Out of frustration after falling into poison ivy AND breaking a hand and spraining another…I had to use ice for pain. Miraculously, the ice packs actually took the sting out of the poison ivy blisters that hugged the wrist of the hand I broke. Hope this helps someone who, beat up, is “sans the ability to wash thoroughly or has access to pain meds”. Scratching isn’t what causes it to spread. Only the oil from the plant will cause reaction. The timing of blisters/rash is relative to the amount of oil and the sensitivity of the area exposed. When scratched,, various layers of epidermis are removed, allowing the oil to react quicker as there is less skin .The lines that appear from scratching are where skin is thinner from the scratch. I have been covered by poison ivy so many times throughout my life. When I was about 15 I help my uncle clear off some land and he was burning it and I got covered from head to toe. My eyes were almost swollen completely shut and back then all they wanted to give you a calamine lotion. That’s a waste of money in my opinion. I have found it if I take an antihistamine everyday I don’t seem to have a problem with it anymore. My experience with the noxious weed is for heavy areas I go to a thrift store and purchase clothing to be thrown away after working inn the weed to avoid possible cross contamination. I use trash or plastic bags as mittens to pull the weed, it covers my arms and I can use the bag for disposal in the trash can, limiting cross contamination. I do not advocate using a mower or weed eater on the vine for the risk of particles of the plant going airborne. My way of treating exposure is a little strange but works for me; after working with the weed I immediately spray down my hands and forearms with large amounts of WD 40 and wash with it, it seems to pick up the oils. Then I wash off the Wd with dish soap and water and rub a benadryl based lotion on. Wd and soap are someting I keep in the shop. Lubricant is self explanatory but straight soap for greasy hands then add water and I add a few drops of it to herbicides to make it cling to the plant better.